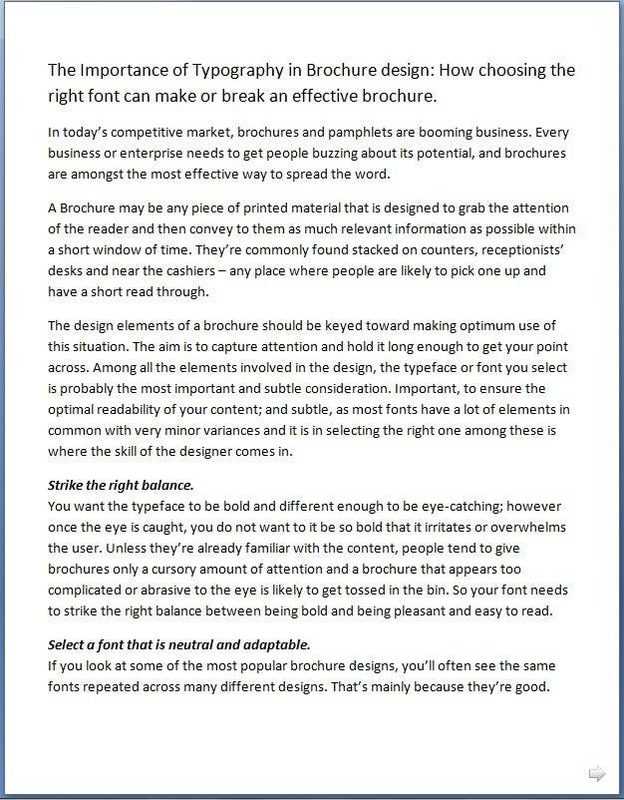 Article on typography in brochure design. Hi, Thank you for providing this opportunity. I'd like to throw my hat into the ring as well. I've attached two images, one for each page I've written on the topic. Please let me know if any changes are required. Any other feedback would be appreciated as well. Thanks, again.